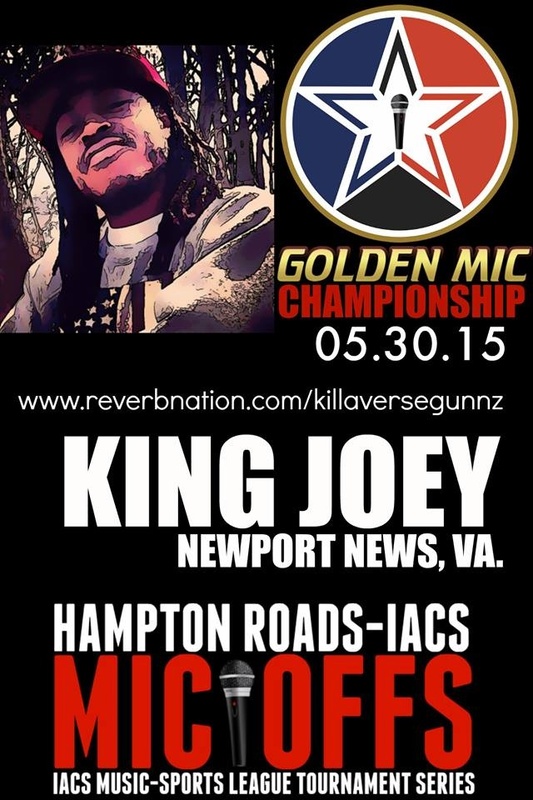 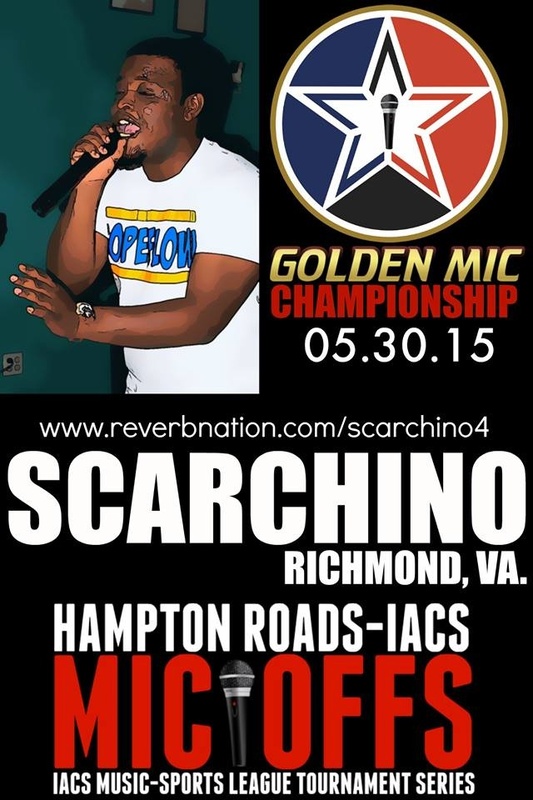 IACS GOLDEN MIC CHAMPIONSHIP | ComeSeeTv Broadcast Network ... Can you See me Now! 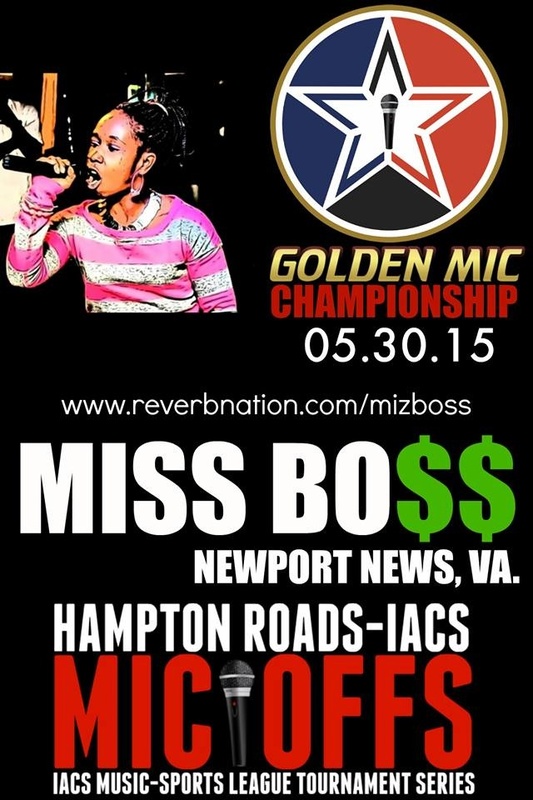 IACS GOLDEN MIC CHAMPIONSHIP Live on VAM TV. 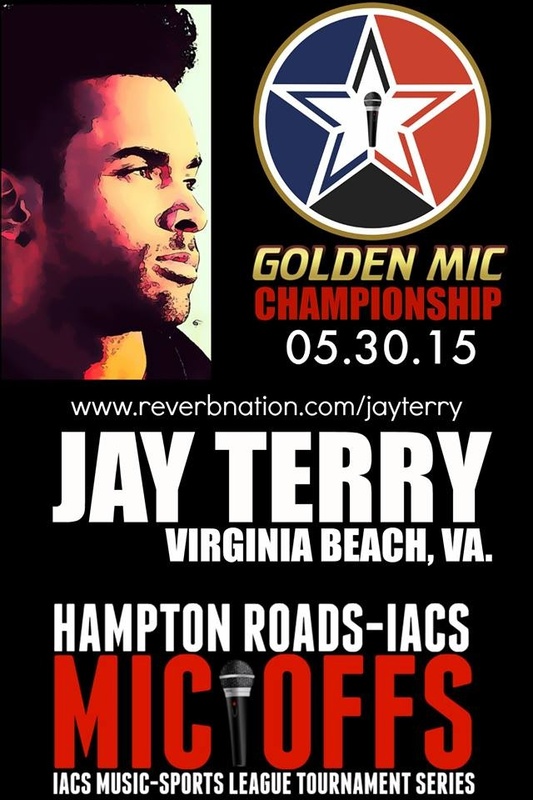 The HAMPTON ROADS-IACS MIC-OFFS is the prelude to what's to expect of the first-ever and historic IACS inaugural season beginning January 2016, Hampton Roads, VA. 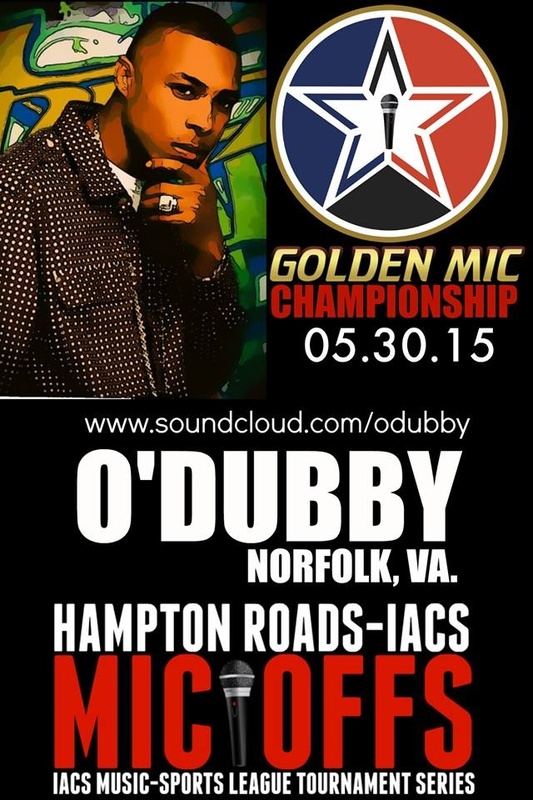 The MIC-OFFS is made up of (3) single tournaments that lead to one (1) championship tournament that will be held in VIRGINIA. 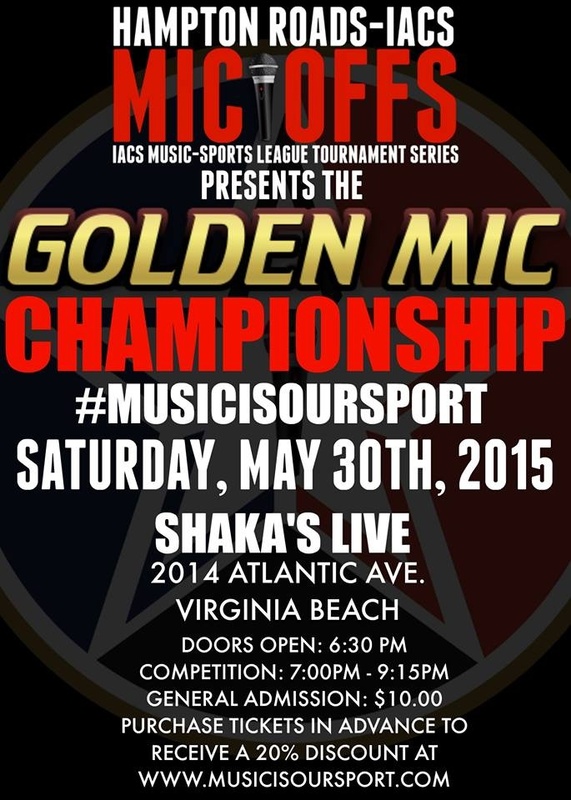 MUSIC-SPORTS: Music-Sports is a patented-pending revolutionary new form of music competition that governs independent recording artist stage performance competition under the infrastructure of a professional sports league. 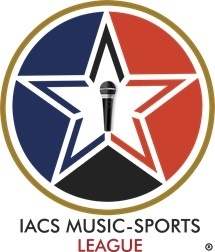 In the IACS, the ARTIST is the ATHLETE, and STAGE PERFORMANCE COMPETITION is the SPORT as our athletes compete in a sports league structure season that includes; A DRAFT, PRESEASON, SEASON, &CHAMPIONSHIP competing live on-stage performing only original music! 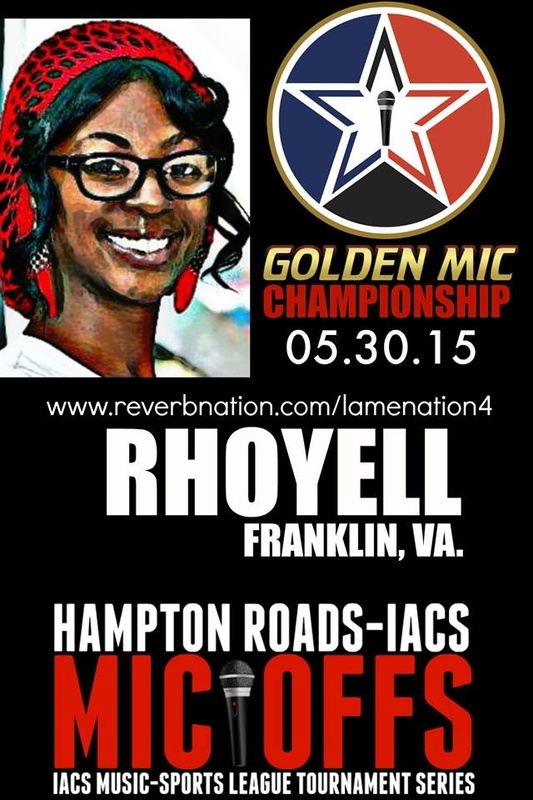 COME OUT AND ENJOY THE EXCITEMENT AND WITNESS HISTORY IN THE MAKING!